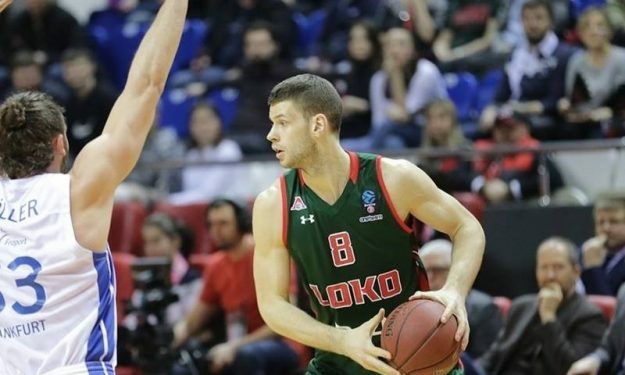 Lokomotiv Kuban Krasnodar will go on in the 7DAYS EuroCup Quarterfinals stage, but Dragan Apic certainly left his mark on the final round of the Top 16 stage. Dragan Apic, only three games into this EuroCup career, took home the Top 16 Round 6 MVP honors. A few weeks after joining Lokomotiv Kuban, the 23-year-old Serb forward/center led his team to the home win against Fraport Skyliners Frankfurt with a performance index rating of 30. Apic made 7/8 from the field for 18 points, also added six rebounds, three steals, two assists and six fouls drawn to his tally. He only needed 26 minutes off the bench for his first EuroCup MVP of the Week title.